Note from Joy: I met Christine and Emily 8 years ago when I spoke with them about nutrition consulting in their studio 889 Yoga. The first time we met I felt instantly at ease and yet very excited about the potential to work together and bring holistic nutrition to the yoga community. I always appreciated how thoughtful and joyful they were, yet very driven entrepreneurs. 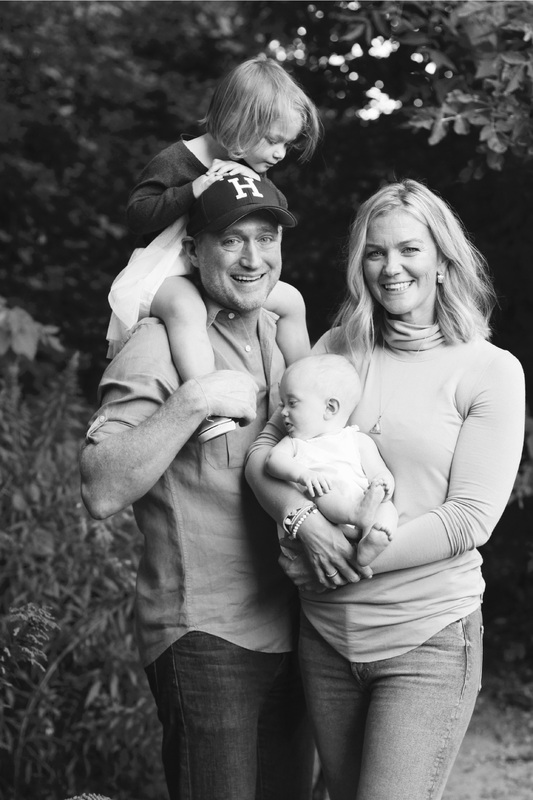 Aside from business, these are two absolutely incredible human beings and I'm very excited to share their story with you! Joy: What inspired you to start 889 Yoga ten years ago? There was a universal message coming through both of us to start this company. Logically it didnt make sense as Emily was in Toronto and Christine was in California, we had both just begun taking yoga classes (we were Beginners! ), and we had never started a business before. Something bigger than ourselves was guiding us. 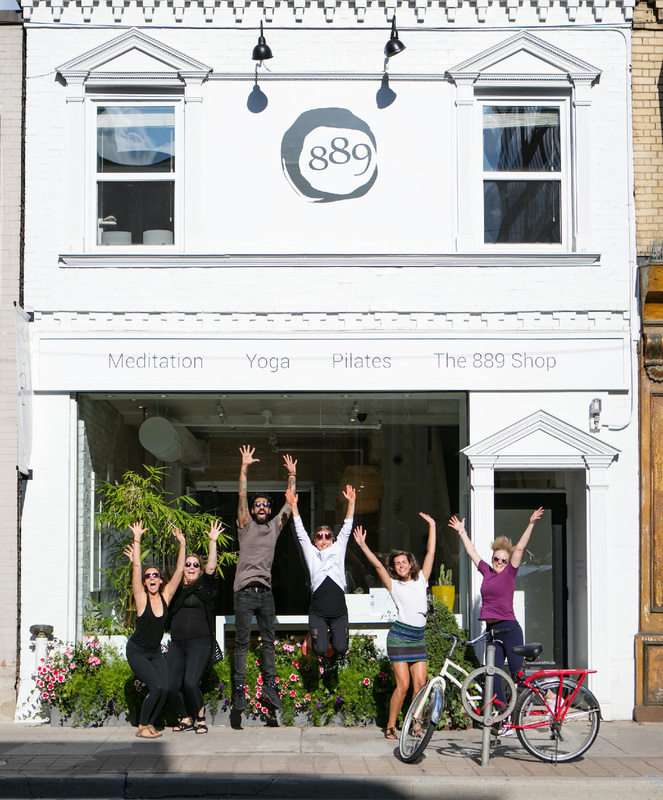 We created 889 Yoga together, with very little experience, and a total belief in what we were creating. We had a deep desire to facilitate people to live happy, healthy, peaceful lives. Neither of us were yoga teachers or healers and we hadnt yet tapped into our spiritual nature, so we focused on putting the business together with the combined backgrounds we had, and gave the platform to teachers and healers to make change in the world. We do come from a long line of entrepreneurs so it felt very natural to start a business together. Joy: Was it a scary decision to start your own business? Did you have any uncertainties or insecurities in the beginning? The message was so strong, and we believed in the business so much, we knew it was meant to come to life. In looking back, we could call it naivety, but our inner wisdom was the driving force. We had an inner-knowing of how to do this. Any fear we had stemmed from the financial uncertainty of buying the building, renovating it, hiring staff and opening the doors before we had a single customer. The upfront financial and personal investment was massive. This was not a start-it-in-your-moms-basement business. We had to learn how to flow with discomfort and stand in our beliefs (and sleep upstairs on a futon some nights!). Joy: What are you most proud of  this could be anything. Emily: I am most proud of my personal growth. I feel that I have grown in union with 889s growth. Without this experience I would not be the spiritually-charged human that I am today, and Im so grateful to be able to share my wisdom and my gifts in so many different categories as a result of being a yoga teacher, a meditation teacher, a business leader, a mom of three, and a guide to so many people. My light has been ignited through the work Ive done from the inception of the idea to today. I have learned to lead from my heart and communicate from my place of truth, and be a guide to others to do the same. Christine: I am most proud of having a clear vision and bringing it to life. I am so proud of the people this business has touched, and the personal transformations which I have had the privilege to bear witness. Through the evolution of 889 over the past decade, I have evolved with it. I have learned to stand in my own power, how to lead softly and steadily, I have become a mother of two girls, I became a yoga and meditation teacher, and I have learned how to run a company and run a household. Through our business, I have become who I am today. Im grateful for the opportunities 889 has ignited within myself, and for the deep connection to Spirit I have cultivated along the way. Joy: Describe your perfect day. A perfect day is the day we let go of the need to control, and where our lives become an effortless flow. And with greater openness to receive, the universe provides for all of our needs. Joy: Whats it like working together? We co-exist as sisters in a loving, accepting and motivating container where the work we do together embodies the power of two, while at the same time, it allows for our individual expression and curiosity. We continue to be inspired by each other and often find that the same things enliven us. This is so fascinating because were both so into the same things! Joy: How have you adjusted to being working mamas. You both seem to handle everything incredibly well and yet stay very balanced. 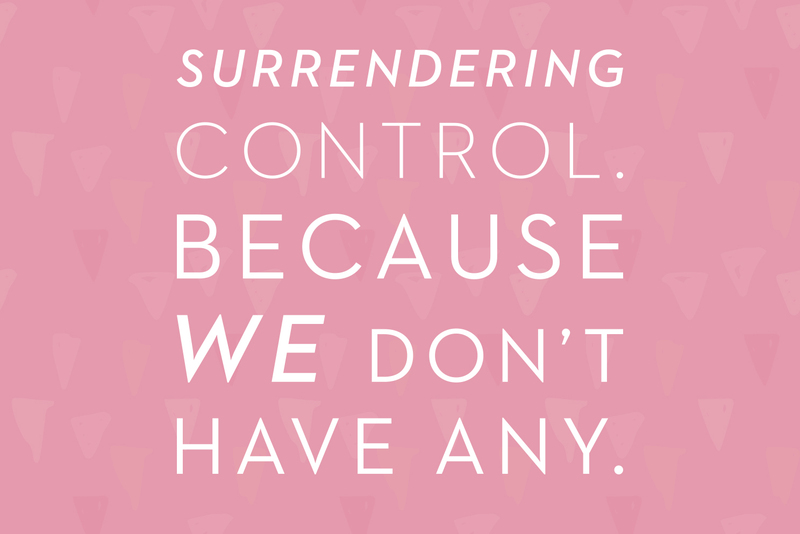 Surrendering Control. Because we dont have any. Always circling back to the now when were projecting into the future or judging ourselves in the past. Daily practice of Meditation, this includes breath-work. Non-negotiable. One hour of movement every day: Yoga, Pilates, Nature Walks. Connecting with nature is for us like connecting with the Mother herself. Tremendous healing power here. Non-negotiable. Being aware of where we are leaking energy and where we can honour ourselves and shift patterns of leaky energy to find more space for abundance. Honouring what we need to do to serve from our highest place. We consciously steer away from being pulled in every direction. Support from our tribe. 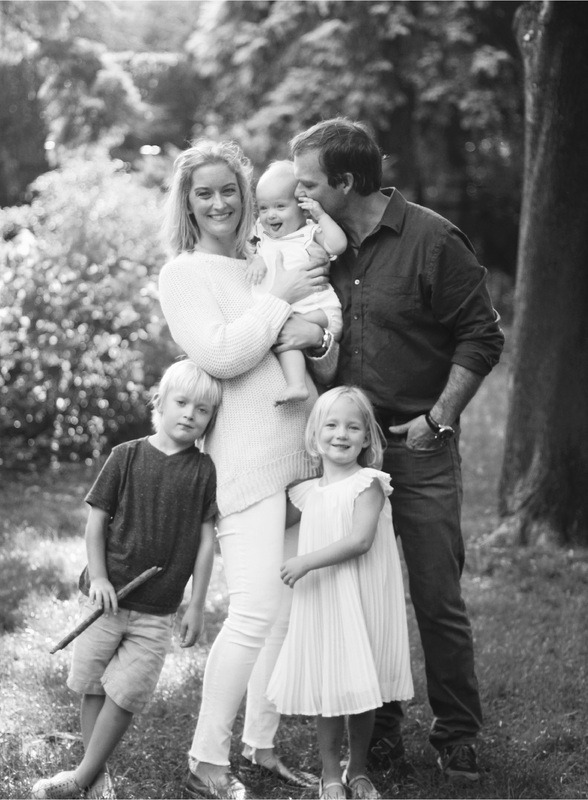 We have gathered a tribe around us to support us in all facets of our lives at work and at home: employees, family, caregivers, husbands, friends, our amazing mother. Believe in the support you have chosen. Joy: What are your daily rituals? No phone until she has dropped kids off at school, usually around 9am so I can be present and joyful for this time together with my family in the morning. Evening meditation and prayer in bed and Essential Oils for sleep for myself, kids, and my husband. Some kind of spiritual reading before sleep. 2 days of the week, a ten-minute meditation with my two older children, including gratitude, chanting and movement, and sound bowls. 1 cup organic coffee with 1 drop Cinnamon Essential Oil and 1 tbsp coconut oil in the vitamix! Move my body everyday: yoga, pilates, walk in the ravine. I need to connect with mama earth every single day to get filled up and grounded. No phone in the bedroom when Im sleeping. Ever. Thank my nanny, genuinely, every day. Kiss and chomp on both girls feet as many times as possible. Joy: Whats next for 889, Whats next for both of you. For 889  Allowing the Universe to take the lead and let 889 express itself into its own dharma. 889 is its own entity and it is so much bigger than just the two of us. We are open to creative possibilities for the future of the company. For Us  we continue to deepen our spiritual connection and look forward to guiding women who want to live an empowered life and who want freedom. Joy: Do you have advice for women wanting to start a business? Keep it simple. 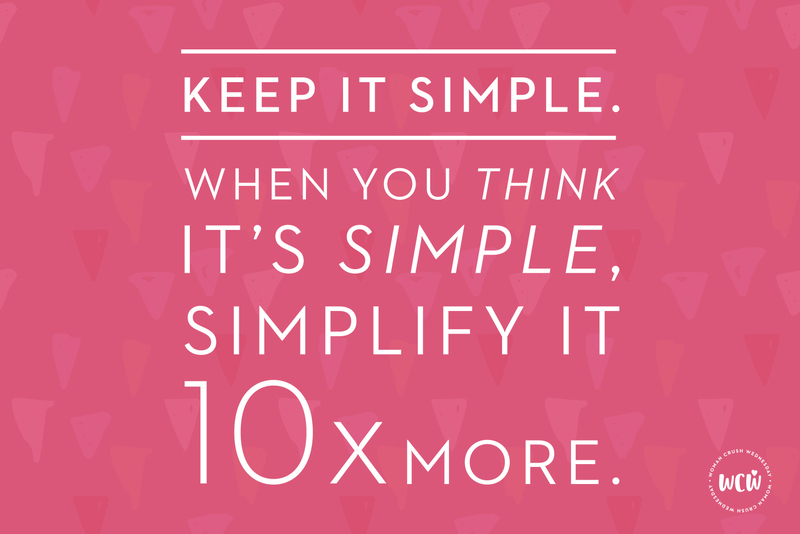 When you think its simple, simplify it 10x more. Follow your intuition; dont let other people project their opinion on your vision. Lead with your heart. Tap into your Inner Guide. Find your daily practices that support your energy and wellbeing and use them, daily. Know that the universe has your back, and youre not alone. Theres so much energy from the Universe that you can tap into if you surrender, believe and allow.